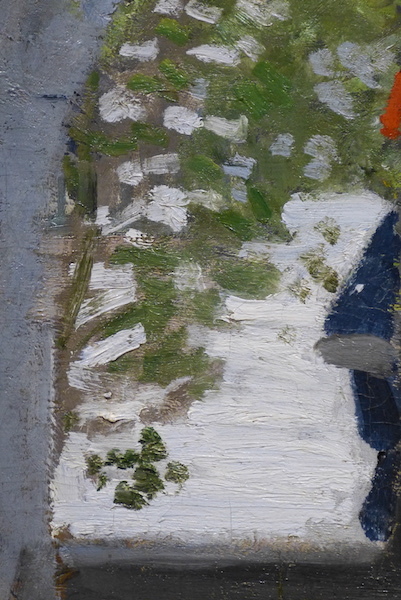 Last week we looked at the clues in Claude Monet’s early work that show how he crafted the visual information in front of him into strong art. 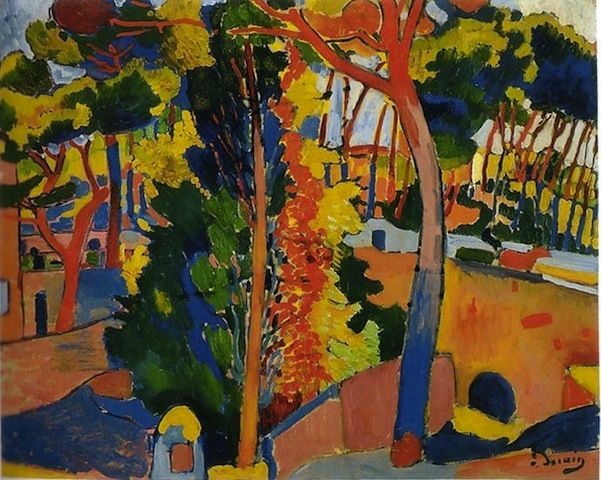 In a similar quest, here we look at two pieces by Andre Derain (1880-1954). The first, The Seine at Chatou, seems to have been painted in one session with a few touchups afterwards. It seems to have been painted in the field, judging from the immediacy of the handling and a wide streak of scratchings on the left side (not visible here), as if it was dragged past a bush on the way home. 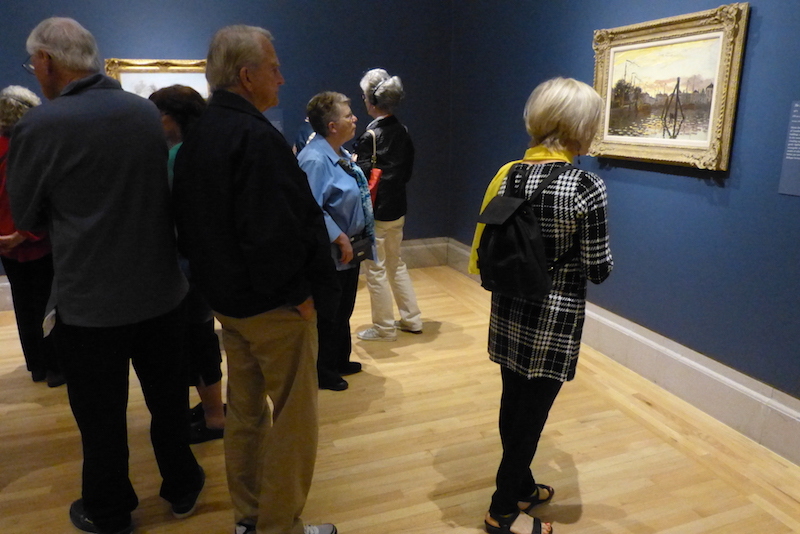 It exudes a sense of exploration: he wouldn’t have painted this view if it hadn’t appealed to him, so things like that long, long branch to the left, and the awkwardly u-shaped ones on the right, are here because they were in front of him and engaged him. But there is also the compositional order imposed by a painter with formal training: the foreground tumbles in lively fashion toward the river, and the vertical bushes and trunks carry the eye up to the many horizontal stripes and shapes across the middle, locking the delightful vagaries of the scene into a coherent composition. Now to Bridge Over the Riou, painted in the same year. This is how painters get into trouble: pushing too hard with no workable sense of a new logic, a new system. 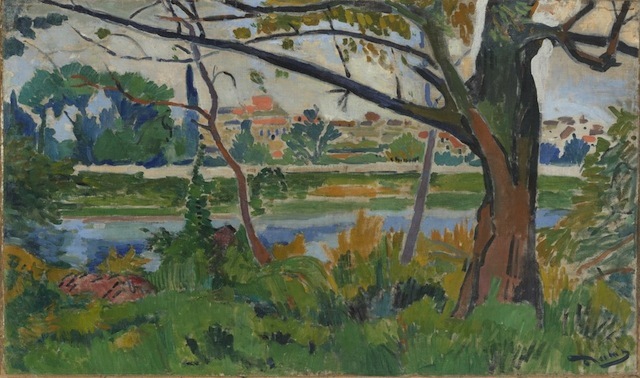 The basic compositions of these two pieces are similar: a sweeping foreground leading to a river with trees and fields beyond, stitched together by foreground trees. But now Derain goes out of his way to rebel against convention. He muddles the foreground and stifles the river. Left and right bear no relation to each other. All that clunky blue-and-green foliage stops the eye dead in its tracks. There are lots of interesting bits, but they don’t play off each other, or build a convincing new whole. The result is muddle, not an assertion of a new vision. Or at least, not so far. 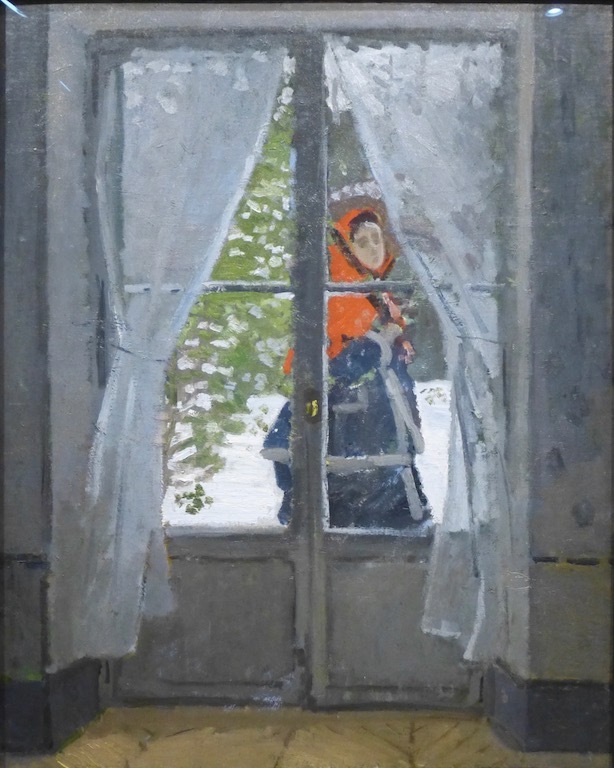 The show at the Legion of Honor in San Francisco, “Monet: the Early Years”, is full of surprises. 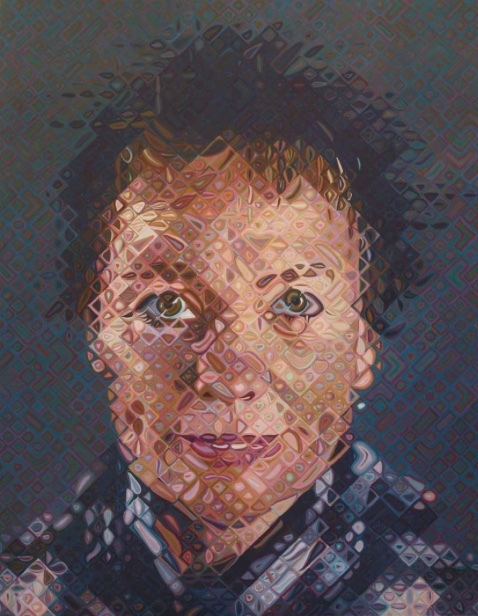 The first surprise isn’t how wonderful the wonderful stuff is, but how many middling pieces there are–things you wouldn’t pay much attention to if the artist’s fame hadn’t made you think you’d better admire anyway. Even geniuses, it seems, put their pants on one leg at a time. But the wonderful stuff predominates, and really is wonderful. Most of the work in the show will be familiar to anyone who has looked at a history of the Impressionists, but as is usually the case with strong paintings, seeing the work in the flesh reveals subtleties that don’t come across in reproductions. For example, how bold his attack is, and how undisguised. The Red Kerchief is on a gray ground, visible here and there. The strokes and dabs are thick, wet, and knowing. It was done in more than one session, but the overpainting never muddles the first layin, although there are second thoughts: he seems to have found that white shape at the bottom boring, so he added that little cluster of leaves with a smaller brush and slightly off green. And so with other pieces. 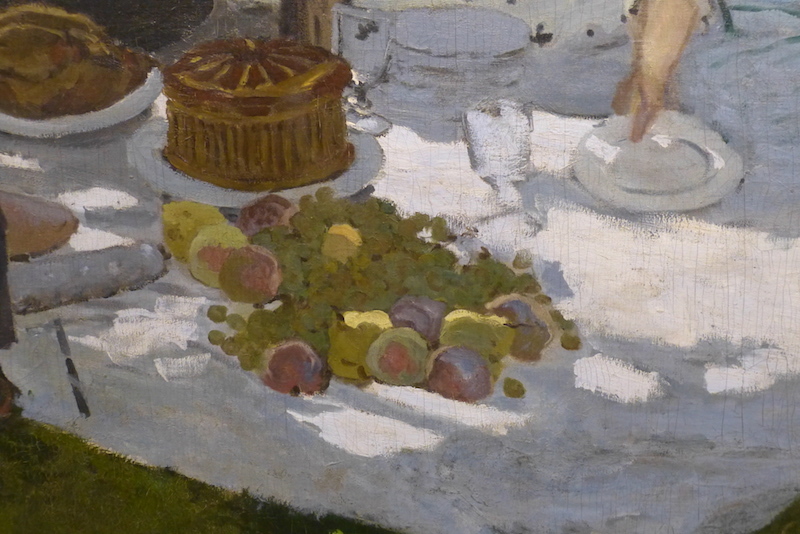 Check out the brights in the detail of Le déjeuner sur l’herbe below: the flashes of light on the plate by the hand, on the fruit, and how frankly and improbably but convincingly the gray plate to the left is defined by the white area that lies against it but doesn’t trespass. Monet wasn’t passively jotting down “impressions”, he was constructing. And that hand–so deftly minimal! This frontal attack doesn’t always work as well as it might. 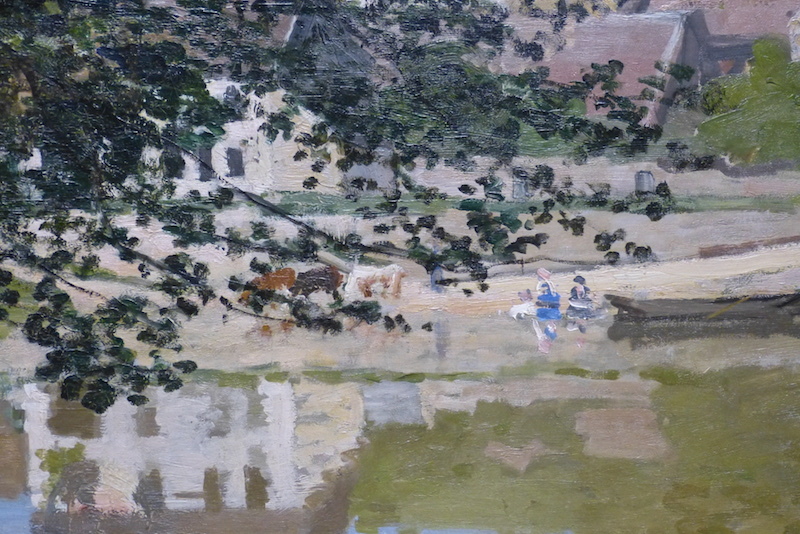 Sometimes, as in the detail of The River-Bannecourt below, the effect is merely slapdash. Apparently, the foreground needed punching up, so he drybrushed on more foliage until he got the balance he wanted. It’s a strong compositional choice, and from a few feet away it works, but when you come in close enough to take in the details it’s coarse and messy rather than daring and strategic. 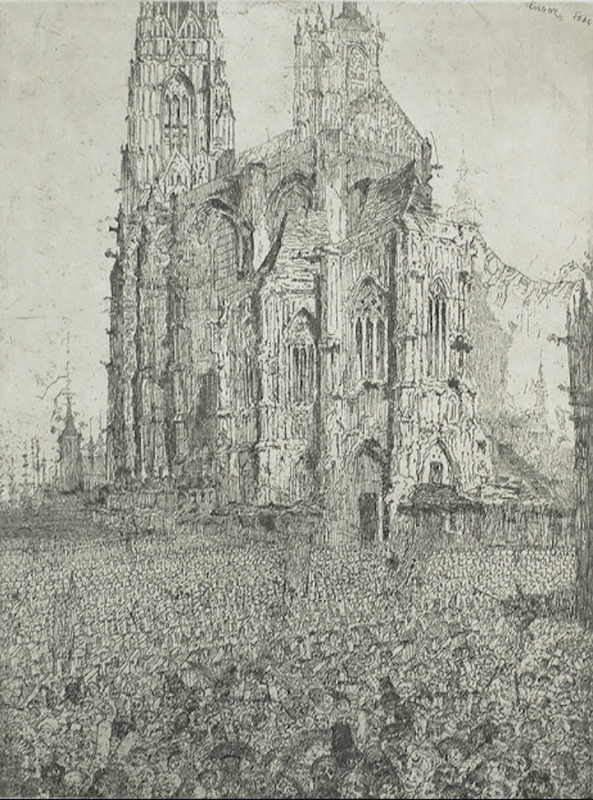 The background shapes are reduced to left-over bits and pieces. 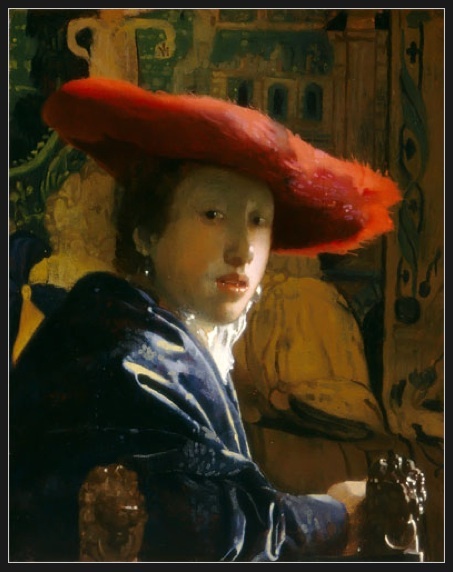 His stronger stuff (as in The Red Kerchief or the déjeuner) works the nearer and farther shapes together, side by side. But generally, he’s on top of it. Here a glorious foreground, full of strokes and dabs of fluid paint with later, drybrushed augmentation. He was in his twenties when he did these things. I mean, my goodness! And they were only the beginning. Before ending this post I must mention the good manners of Monet’s enthusiasts. There were lots of people at the show. This snap is a typical view, if leaning a trifle on the elder side. What’s remarkable about it is that people aren’t crowding the pictures, or stepping in front of each other, or blocking views. They maneuver carefully around each other, working in slowly, taking turns. In a hot show, how often do you have that experience? 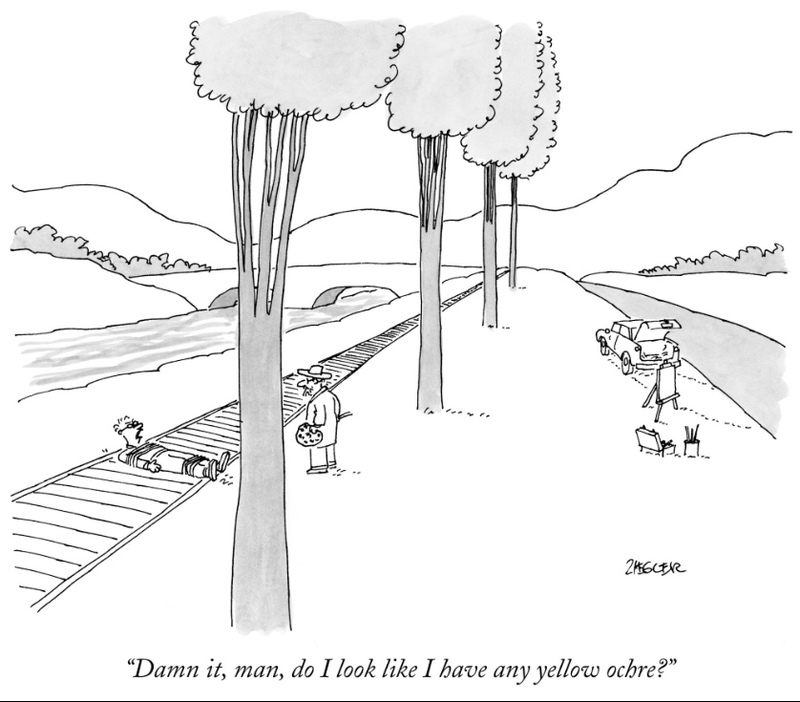 Jack Ziegler, a long-time New Yorker cartoonist, died recently. 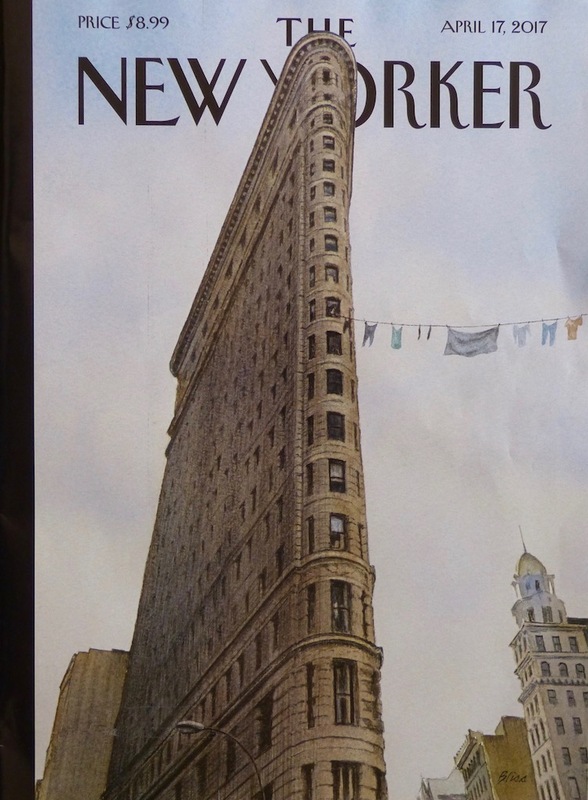 His work was funny, his drawing bright and economical. I like this piece especially, for obvious reasons.